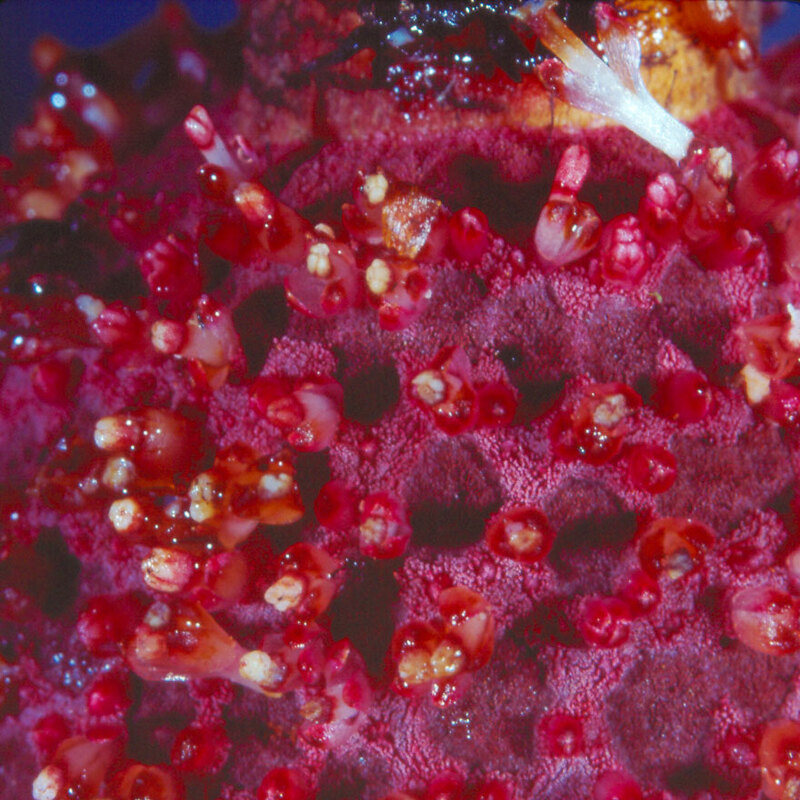 The surface of an inflorescence of a Costa Rican Helosis, showing male flowers among the polygonal scales that have shrunken away from each other. 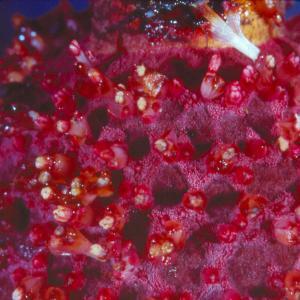 The male flowers are reddish and bear white-tipped stamens. A male flower pulled away and shown on its side is at upper right: two petals diverge, and the stamens are in its center.